The Little Elm Independent School District | 8x8, Inc.
Little Elm Independent School District is growing rapidly. They are projecting to double or even triple their enrollment projected by 2025. When the district’s 20-year-old hardware PBXs became impossible to maintain and expand, the need for a replacement phone system became urgent. 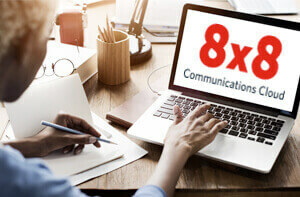 After speaking to 8x8 customers with similar needs and budgets, the district took the pioneering step of implementing 8x8 cloud communications in an education environment. Now Little Elm ISD is ready for the future—and at a considerable cost savings, too. 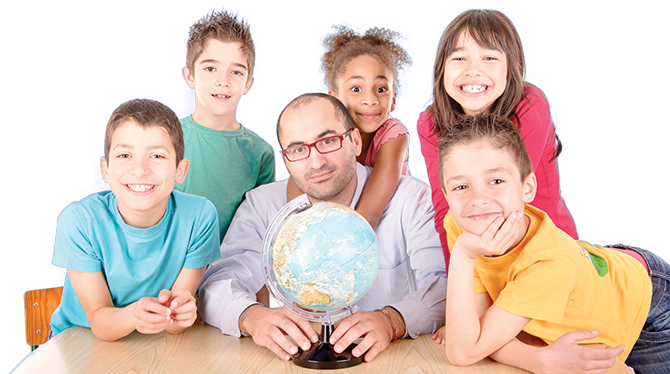 The Little Elm Independent School District (ISD) is one of the fastest-growing school districts in the state of Texas. The town of Little Elm is an up-and-coming community located between the larger towns of Frisco and Denton, Texas. Its close proximity to Dallas-Fort Worth and miles of scenic lakefront property make Little Elm an attractive destination for businesses and families looking to settle down in a quieter, less urban environment. Over the next 10 years, both the town’s population and number of students enrolled in the district are expected to double—or even triple—in size. Parents, teachers, school administrators and school board members are all working together to ensure that Little Elm ISD is prepared to handle that rapid growth and continue to provide students with a world-class education. This will likely mean adding campuses, faculty, staff and services throughout the district as enrollment expands. From an IT perspective, there was one major barrier blocking the district’s growth plans. 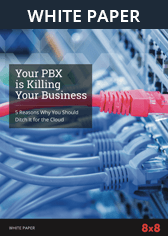 For almost 20 years, phone service had been provided by two on-premises NEC PBXs. Although they had served the district long and well, they were far past the normal life span for phone technology, and were now holding the district back. The Little Elm team began looking into replacement phone systems that could accommodate the district’s projected growth. First the team considered another traditional, premises-based solution, however, the IT burden of maintaining that kind of system concerned them. Little Elm’s IT Director Russell Van Hoose reached out to Amir Ashiqali, an account executive at Tempe, Arizona-based Insight, a leading provider of Intelligent Technology solutions. The two had worked together before and built a strong relationship over the years. Ashiqali sensed that hosted VoIP might be the best solution for the district, so he contacted Insight Cloud Specialist Chris Casey to tap his expertise. didn’t have enough internal resources to manage hardware PBXs that spanned nine campuses. From a financial perspective, he also recognized that moving from a hardware-based solution to a hosted phone system would enable the district to convert high upfront capex into a more manageable monthly OPEX. That would be an enormous advantage given the district’s limited IT budget. Casey worked with Ashiqali to develop a proposal for Little Elm ISD’s new phone system. The only hosted VoIP vendor they recommended was 8x8. Back at the district, Van Hoose and Rodriguez were intrigued by the promise of a more cost-effective, expandable and easy-to-manage hosted phone system. However, they could not find comparable school districts that had implemented this kind of cloud solution. Rodriguez approached 8x8 with a simple, straightforward question: can your cloud communications really work for us? 8x8 responded by introducing him to a number of 8x8 customers from the nonprofit world, organizations with needs and budgets similar to Little Elm ISD. Impressed with the 8x8 solution and the feedback he heard from 8x8 customers, Rodriguez went back to Van Hoose and received approval to take the plunge. The original plan was for Little Elm ISD to begin its 8x8 deployment in August while schools were not in session. But when one of the district’s old NEC PBXs started to fail, the plan quickly changed. Within two weeks, 8x8 was fully deployed across 10 campuses, including the administration building. More than 800 devices and 1000 users were brought online. The only surprise was how easy the process was. “Everything went very smoothly and it was a major relief to migrate off of the old phone system,” explains Rodriguez. When Little Elm ISD switched from POTS lines to 8x8 cloud communications, the district’s phone costs decreased significantly. Since school districts are always under pressure to conserve funds, this dramatic slashing of the district’s communications expense has been a huge benefit. With all of Little Elm ISD’s campuses now connected by 8x8 cloud communications, users can call anyone internally by dialing a 5-digit extension, even if they work at another campus. Faculty members use 8x8 phones in their classrooms to hold parent-teacher conferences. 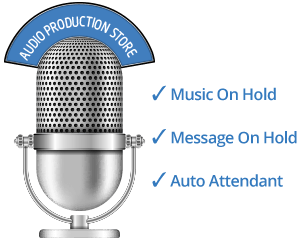 Office staff can now forward voicemail messages via email instead of writing down messages on pieces of paper. Rodriguez is delighted by all this progress. Another twenty-first-century change is the ability to use a softphone client on a laptop instead of a traditional desk phone to make calls, send messages and check voicemail. This new flexibility is redefining the way district workers approach their jobs. “8x8’s phone features give us more time to focus on what’s important: the students, their parents, and our coworkers,” says Rodriguez. This holds true even for the Little Elm IT department. Rodriguez’s team members are frequently out of the office, moving from campus to campus within the district. With the 8x8 mobile app, they can essentially set up shop anywhere without missing calls and messages, enhancing their productivity. Having taken the leap by becoming one of the first Texas school districts to implement cloud communications, Little Elm ISD is now ready to handle the future. When asked what he would tell a colleague at another district contemplating a similar leap, Rodriguez says he would urge them to move forward—as long as they partner with 8x8.